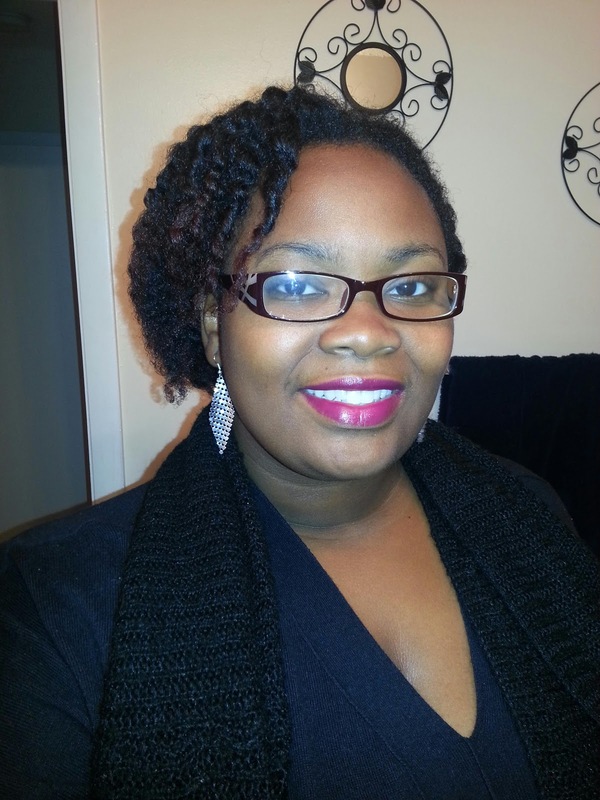 5 Natural Hair styles for Halloween! 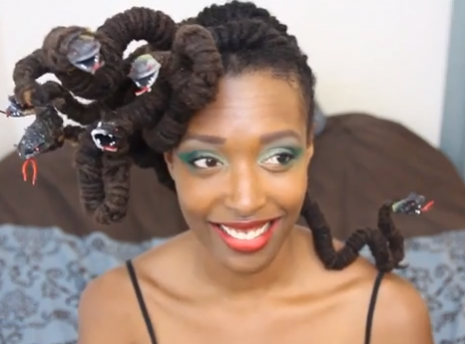 Rihanna just rocked British GQ's cover as Medusa and it immediately made me think of Vlogger, Chescalocs when she created this Medusa-locs look last year. She teamed up with six other natural hair youtubers to create cool natural hair looks for Halloween. 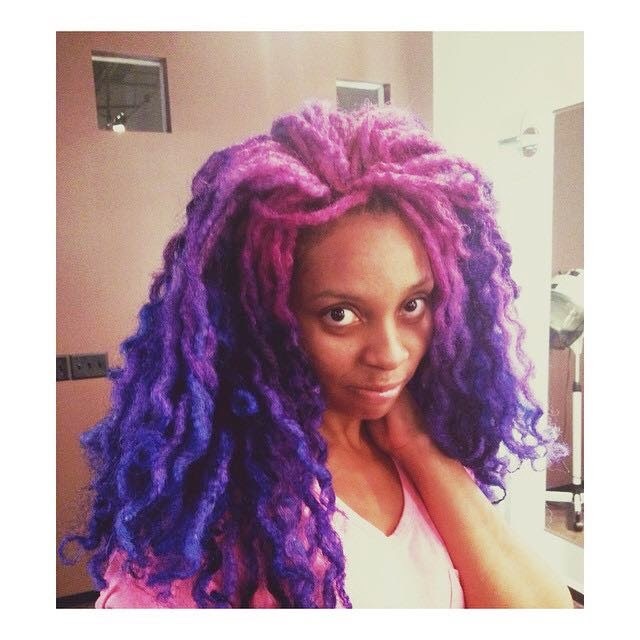 Her Medusa-locs style was a hit and a GREAT way rock locs for Halloween. 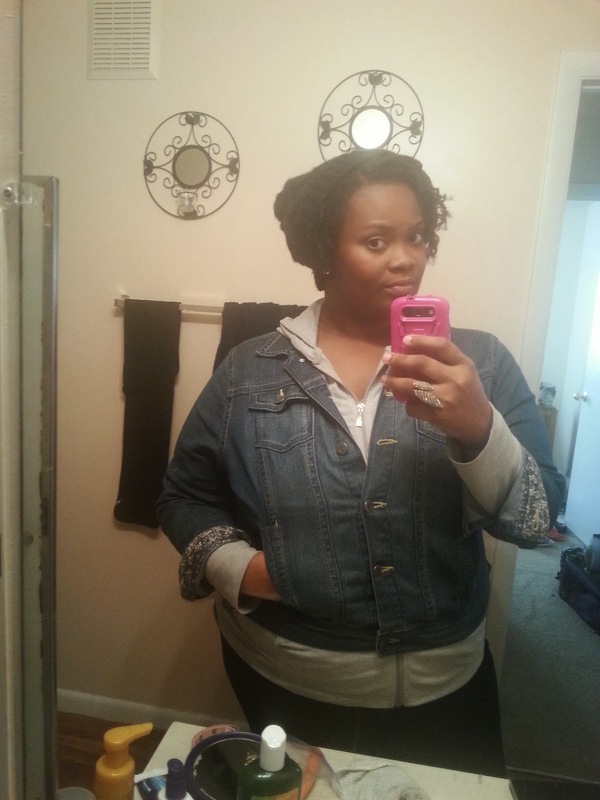 Of course, one of the easier natural hair looks to rock for Halloween this year is the Janelle Monae. 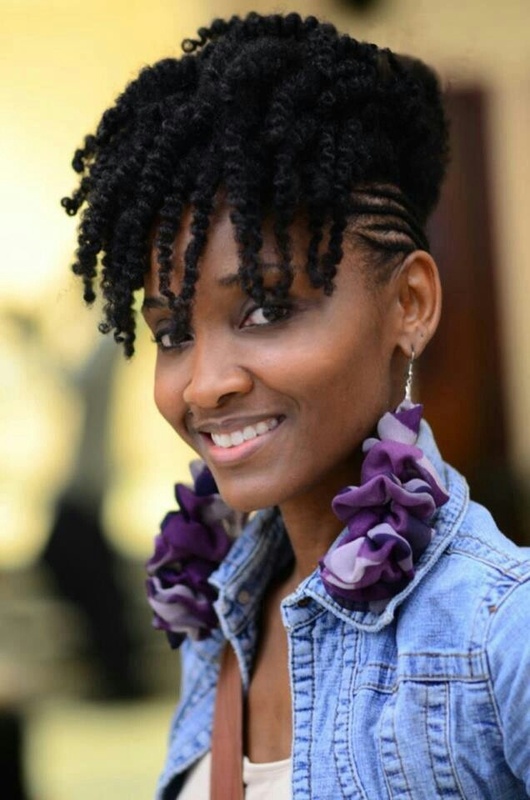 In 2011, Toya rocked her hair in Janelle's classic Pompadour. 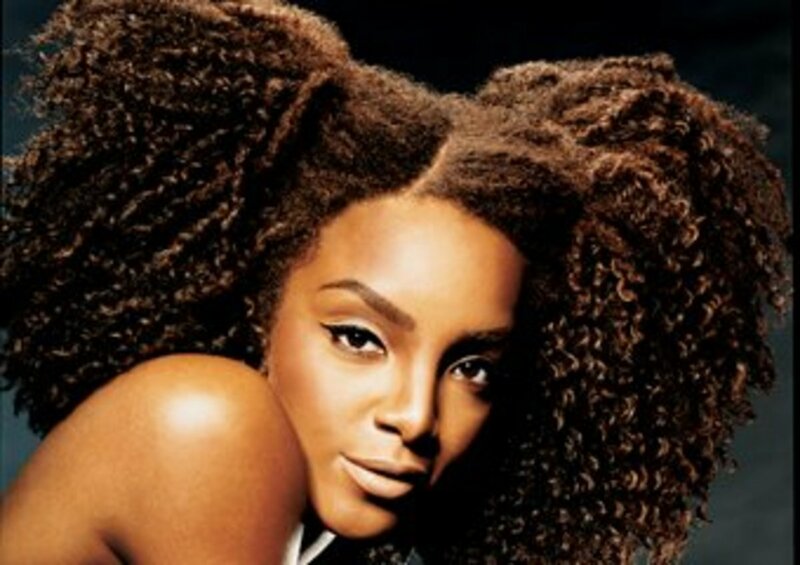 There's 100's of tutorials on YouTube on how to get the Janelle Monae pump in the front, so click here to be inspired. Since the 90's are back in full effect - why don't you get four of your best friends together and be the Spice Girls! Mel B, aka Scary Spice, had the best natural hair of the 90's! Her cute, two buns in the front, fro in the back look would be super easy to recreate. Then get a animal print dress or jumpsuit, combat boots, and get your Halloween on! Check out this Scary Spice Hair Tutorial on YouTube. 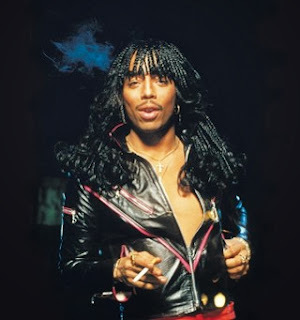 For laughs and giggles, you could always go as Rick James. 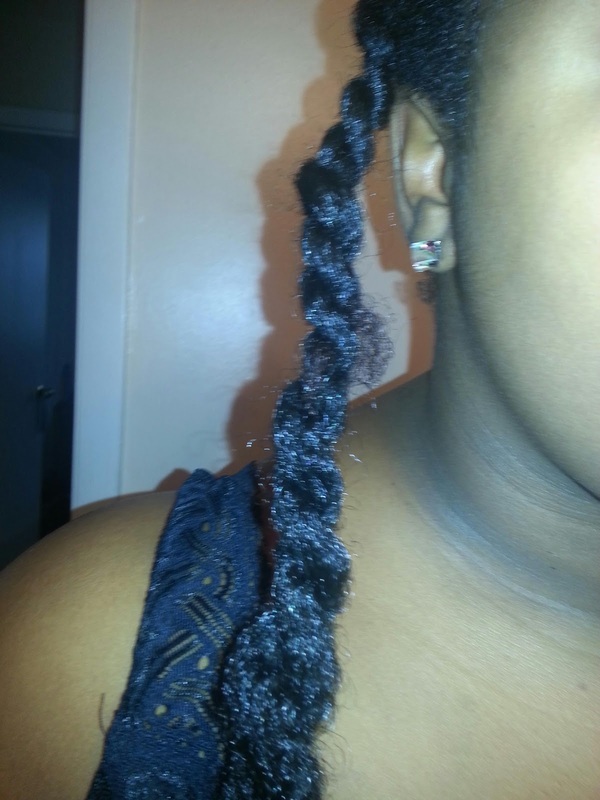 If your hair is long enough you can braid it up for the night or you could buy a braided wig. Hey, it's a cool protective style and you can rock it for the rest of the weekend. 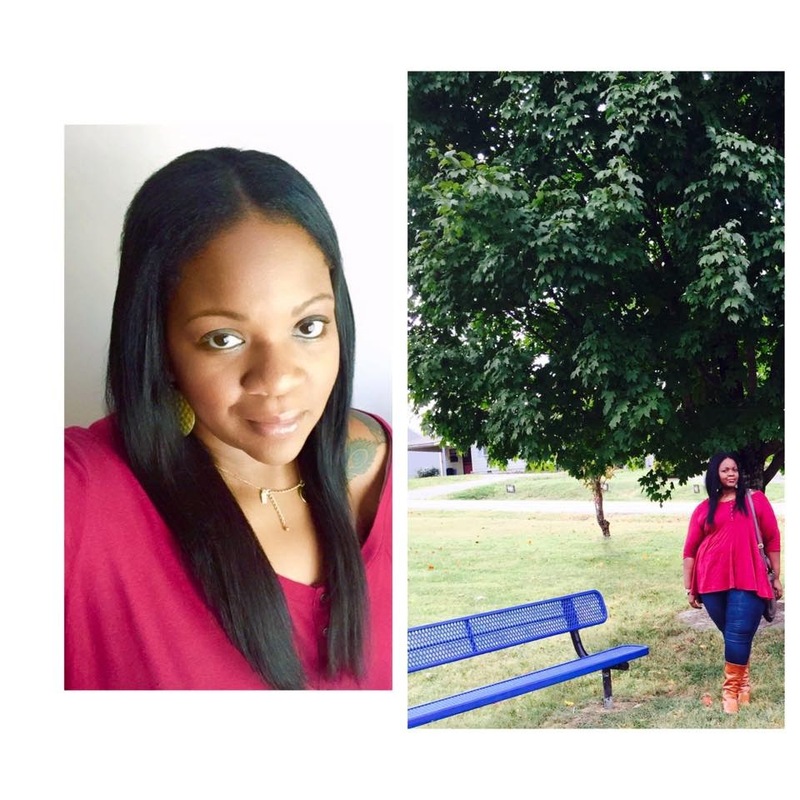 Through on some leather leggings, over the knee boots, and a biker jacket, and you WIN! Don't forget the fake mustache! OMG! 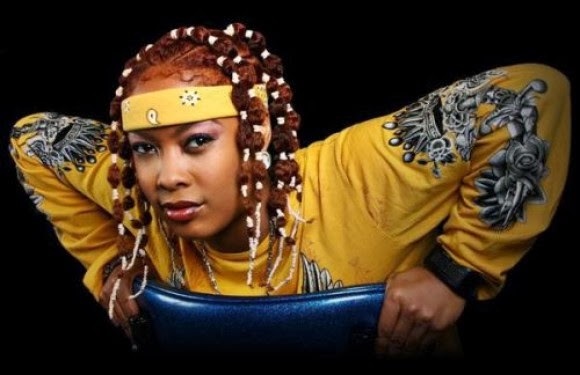 Please someone, anyone, be DA BRAT for Halloween! You'll be comfy and warm in those oversized boy clothes, plus you can band your hair and it will be stretched for the weekend. This has got to be the EASIEST Halloween costume for season - and it's cool! Happy Halloween! 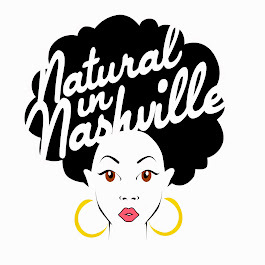 Celebrate safely and tag #naturalinNash on Instagram so we can see you Halloween Natural Hair! OOH - LOOK! 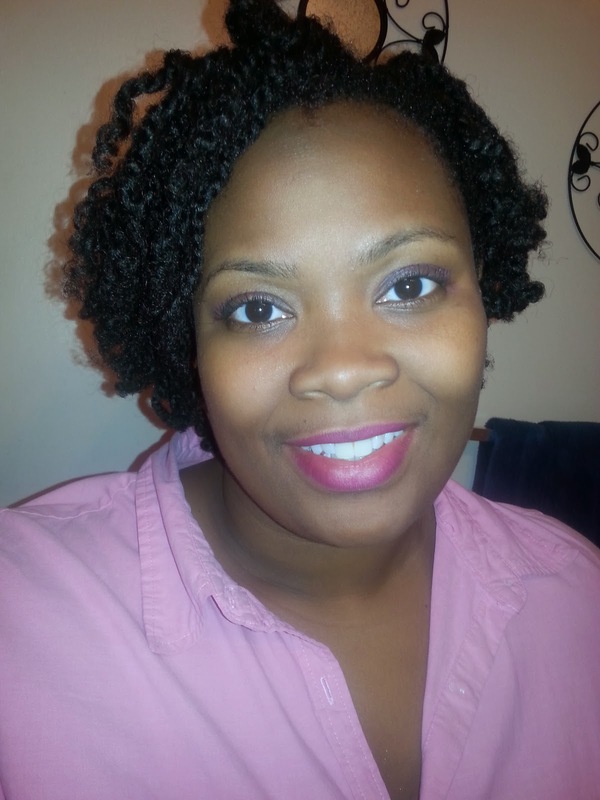 These amazing FAUX locs are a great choice for you fall protective style. 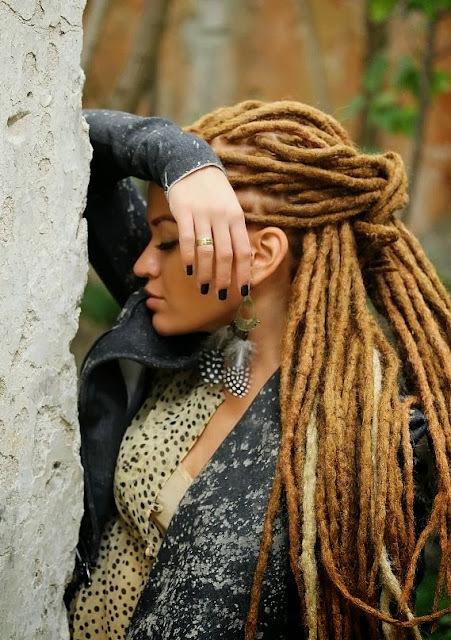 You tresses can be protected for up to four months AND it's a great way to see if you like locs on yourself. So why not? Try a set of faux locs on for fall 2013! I decided to braid my hair for the hot oil treatment and allow it to air dry as usual in hopes of taming my hair. It's probably just because I had a curl at one point that I can't handle the water constantly running down my face. (Yes, you read that right. At one point in life, I had a curl. It really happened.) I was also hoping to add some volume and texture to my locs. Because they are so small and long, just a small wave can make a huge difference when I wear it down or in simple styles like buns or ponytails. Because I finished up late at night, I sat under the dryer to kick off the drying process and let the braids stay in for a few days. I would have gotten more mileage out of them if I had braided the front differently. I did not make it easy to create cute updos at all, but it was a great process for washing my hair and protecting it during the hot oil treatment. I'm happy with the results. 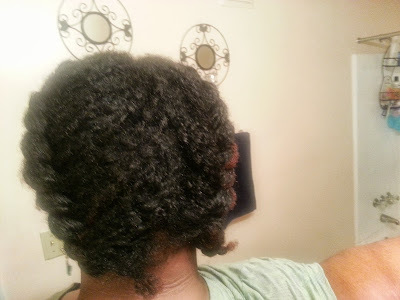 I plan to vary the size of the braids next time I do a hot oil treatment to see if I can create a different look. I've braided my hair many times before, but now I'd like to see how many different textures and patterns I can discover. I'm enjoying a few more "good hair days" and can appreciate it after so many bad ones. 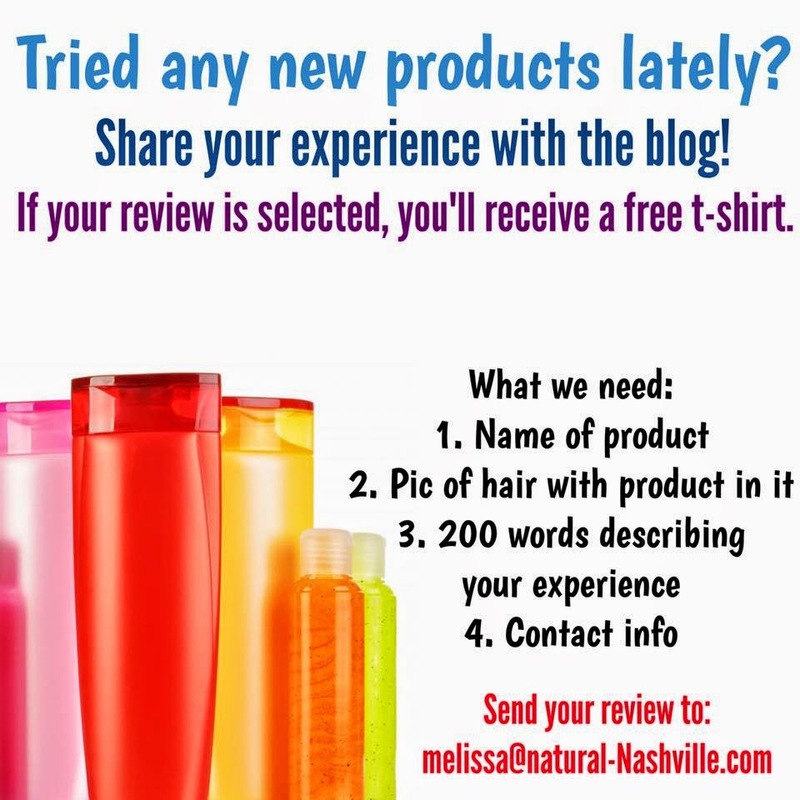 If you're on Instagram, check out #naturalinnashville to see how creative I can get with this braid out and send me your styling suggestions if you have them! 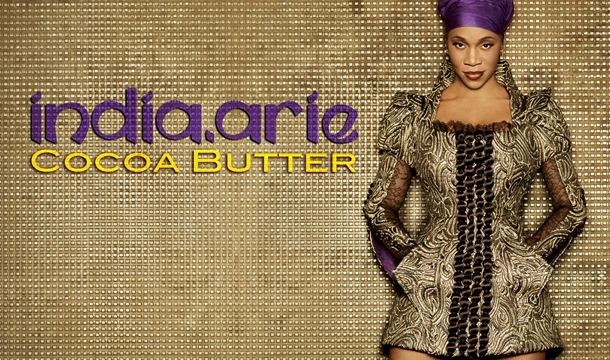 Roots & Rhythm: India Arie - "Cocoa Butter"
"I show you my burns, you show me lessons learned. I show you my scars, you show me works of art. 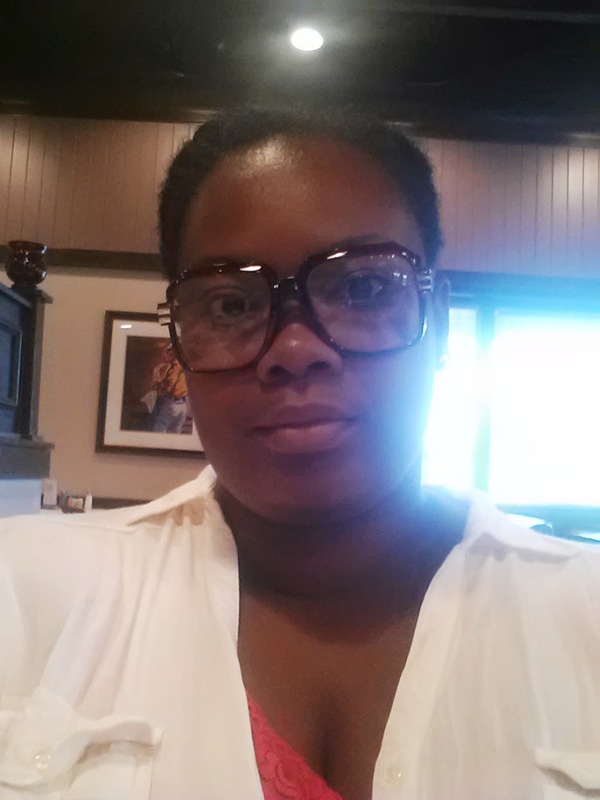 I show you a blemish, you show me God's not finished. With every imperfection, you showed me your blessing. 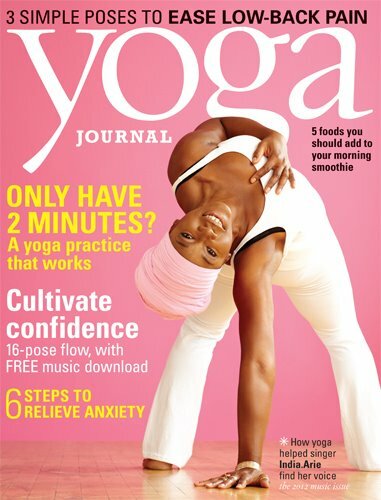 You've got a way of making it all ok."
Yoga Journal featured India on the September 2012 issue and I noticed her turban and thought it was great way to control her hair for the shoot. As she moved closer to the album release, it seems she's fallen for them again. In the interview, India shares how yoga helped her find her voice and I heard the influence during a quick preview of the album. From her album cover to promotional events, India has opted for a vibrant array of turbans and wraps for her hair. I do love the energy she brings with them, but I am curious to know what is going on underneath. After my first run through SongVersation, I'm sure India will bring me back to the reality that she is not her hair. 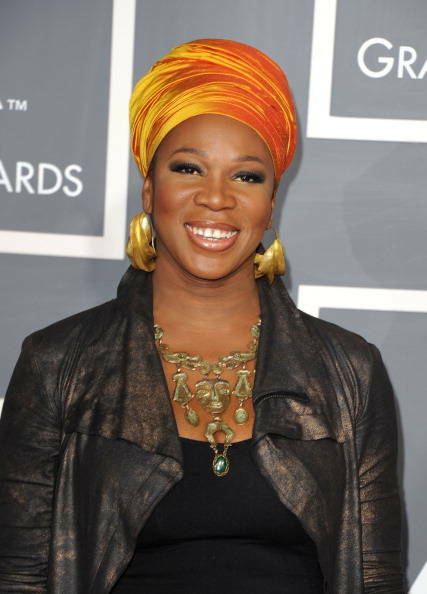 If you've had a chance to check it out, how do you feel about India Arie's new project? Don't forget to share your favorite track! As we settle into the last Friday of the month, let's take another look at a hairstyle we gained a true appreciation for through an artist: braids. 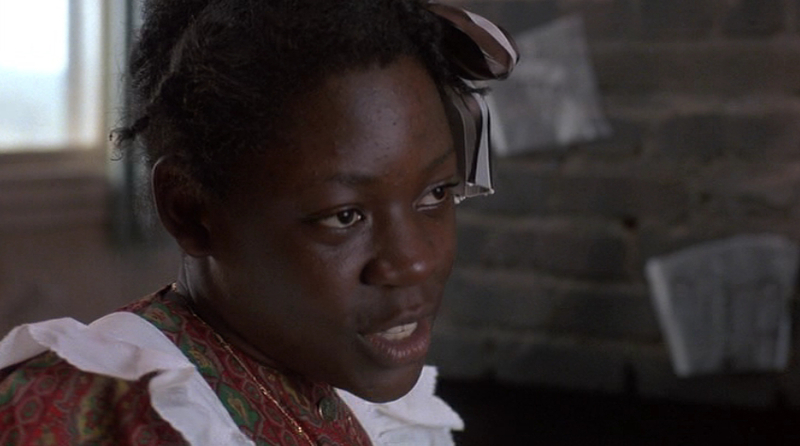 Thanks to Janet Jackson's portrayal of Justice, the "box braids" as I know them, were a must after the release of John Singletary's Poetic Justice. Were we calling them protective styles then? 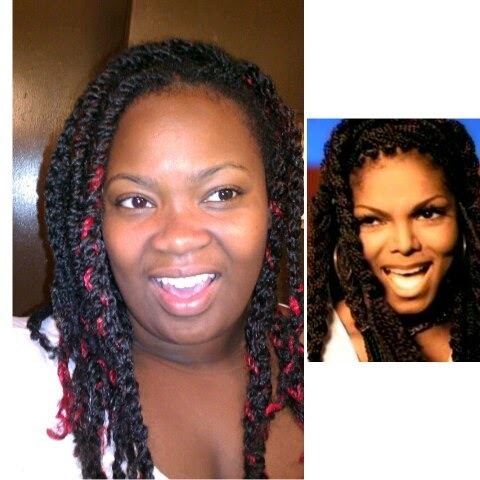 Janet Jackson as Justice in braids. With Regina King as Iesha, both ladies wore their braids in a way that seemed authentic to their characters as well as themselves. Iesha (Regina King) and Justice (Janet Jackson) in braids. 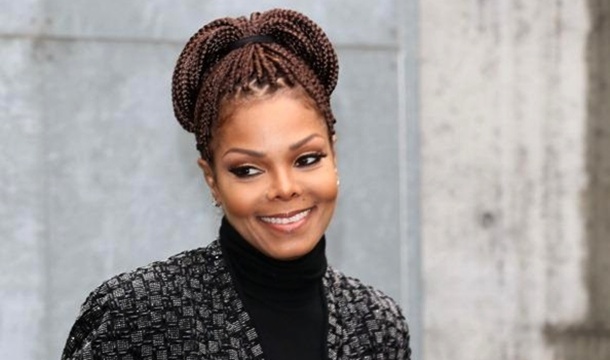 Here Janet helped to revive the trend this year with a throw back her classic look from 1993 in an elegant bun. Regina King chose cornrows for her bun in this recent picture. Apparently Janet and Regina made a pact not to age in back then. Flashing back to Poetic Justice, memories of the times came rushing back when I remembered Bonita Applebum by A Tribe Called Quest was on the soundtrack. The best hairstyles and music are always timeless, so I gotta put you on. We've finally transitioned into the summer! When I first moved to Tennessee from Massachusetts, I had never experienced heat like the hear we have. It's that DRY heat with a cloudless sky that almost feels like you living on the desert. 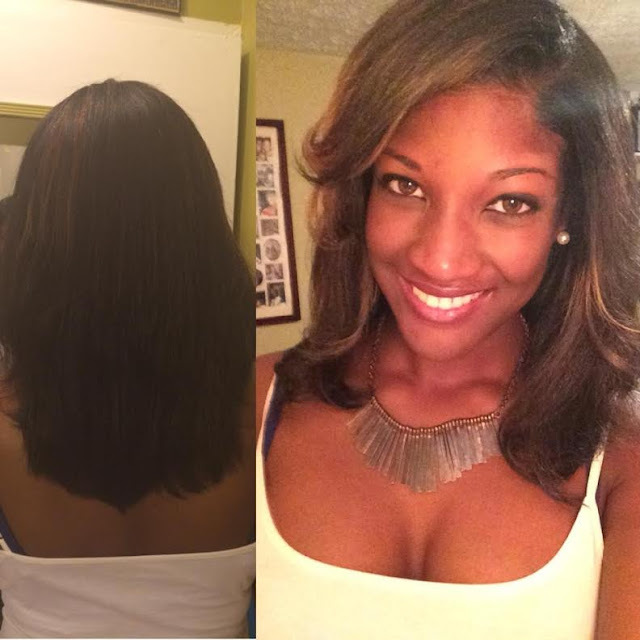 When I transitioned to the natural life, I realized I could experience more growth if I kept my hair moisutrized and protected during the summer. Plus, I hate when I have hair on my neck! So updos are my friend. I love the updo this model is sporting. You get to have your hair protected, off your neck, but with a bit of flair in the front. The perfect look for a hot summer day. Enjoy! Brandy is just my favorite! She's so pretty and such an AMAZING talent - I can't even take it. 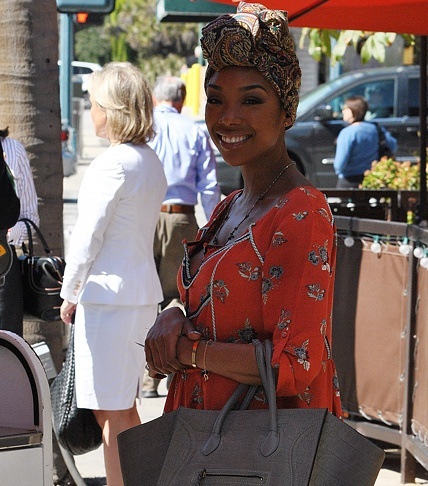 IN the photo above, Brandy is looking 'easy beezy' rocking a cute turban, embellished tunic, and ultra-mod Celine bag. I'm here for the whole look of mixing hi/low pieces and adding a dash of cultural style. We've talked about turbans plenty of times on the site and the turban trend is here to stay. 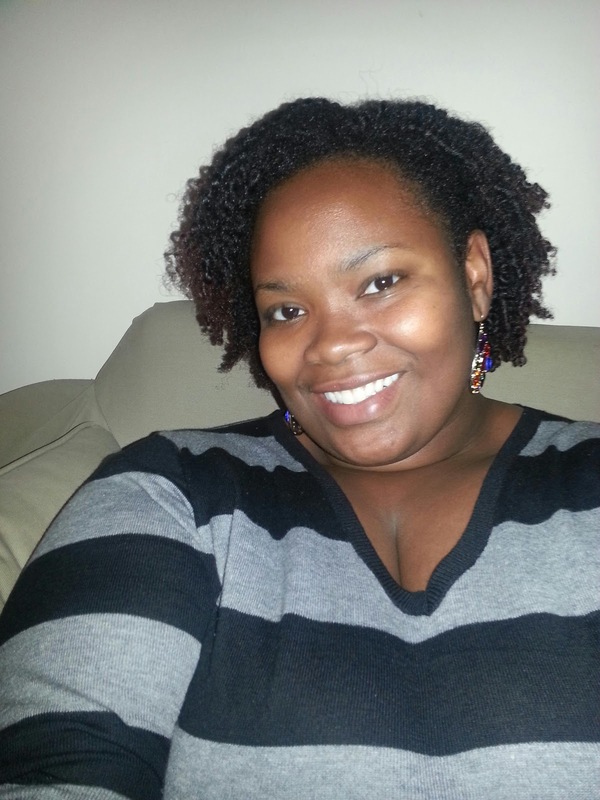 Natural divas have another choice in protective styling as the warm months get close. You can pop on a turban on and add a stylish touch to any look while protecting your strands from sun damage. Take a look at the video below for easy turban tying techniques! 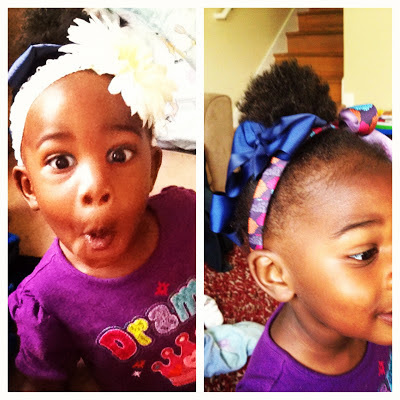 4 new bows and headbands from Adorably Bowed - she was excited! 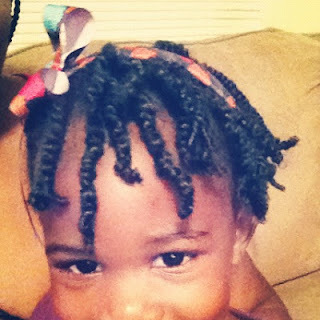 Last year, I posted about how difficult it was to comb and style my two-year old goddaughter, Thalia's, hair. She just wasn't down for it! But now that she's a little older it's a bit easier to do her hair. But her mother and I have some tips and tricks to make the experience a bit easier. 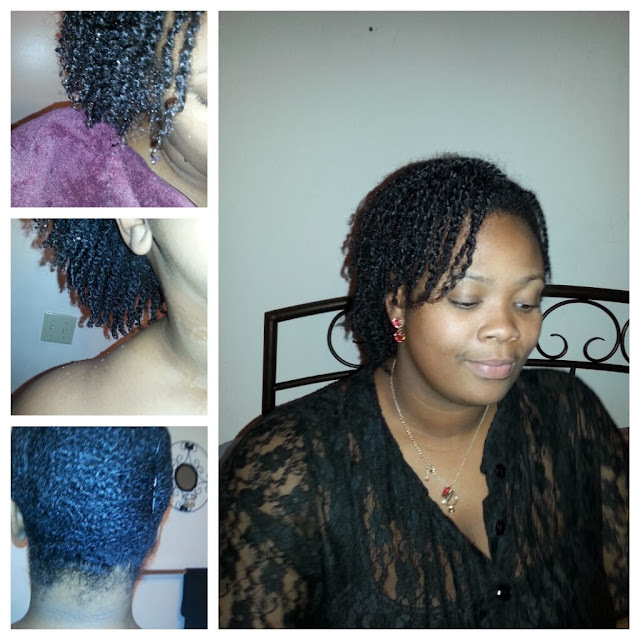 Below are pics of Thalia's first two strand twist and the story on how it came to be. This time around, we came with another approach for getting her to sit for an hour while I detangled and twisted her hair. I'd just came from the African Street Festival, and I had a bunch of pretty new bows from Adorably Bowed for her hair. Thalia is all about clothes, shoes, and bows, so these new accessories bought delight to her two-year-old heart. All she kept saying was, "Hair, aunty? Hair!" So I asked her if she wanted me to do her hair and she said "yes!" Giving a 2 year old a choice is a big deal. She understood that she wanted to wear her new bows, and she knew that she had to sit down for this process to happen. So, we got her chair, put on a movie, and got to work. Moms and dads, you have to put on that favorite movie. That favorite movie will get you at least 15-20 good minutes of detangling time. Next, you have to get a good dantangler. My favorite detangler (for kids) is Soft & Beautiful Just For Me 2-in-1 Conditioning Detangler (above). 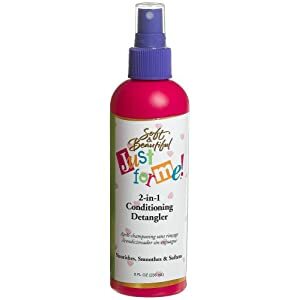 The Just for Me detangler is the best detangler I've used for children's hair! It brings shine and really helps to separate any knots or kinks. Thalia's hair is past her shoulders when stretched, but her 4b coils shrink right up to her ears when wet. 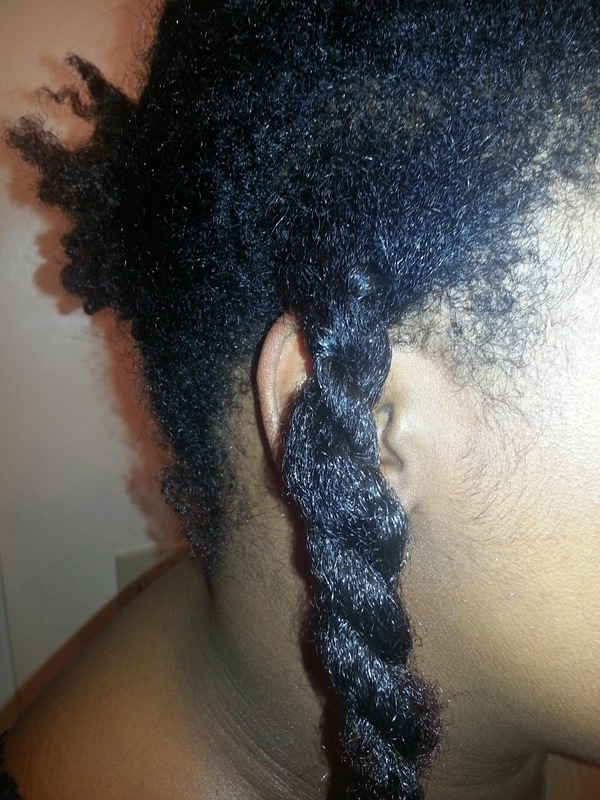 Braiding her hair causes her to have more knots but 2-strand twists have proved to protect her curls, make the mornings easier for styling, and keep away knots. By the half-hour point, she was restless. The movie wasn't keeping her attention so I had to resort to another technique: SNACKS! Cookies & Cream Goldfish Grahams and a sippy cup full of juice gave me another 15 minutes to start the back part of her hair. 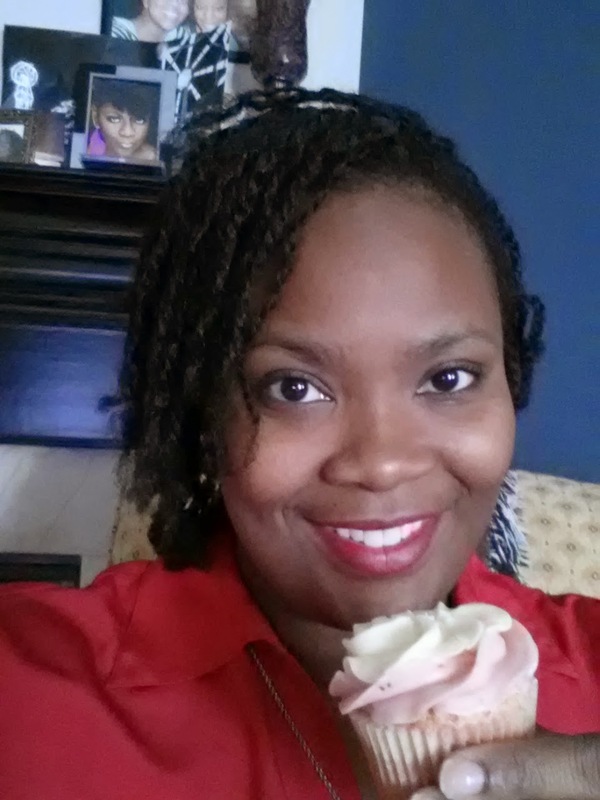 When installing a time-consuming style like 2-strand twists, this is the time to allow you child to have treats they don't normally eat. Doing this makes the experience special and she'll want to do it again. 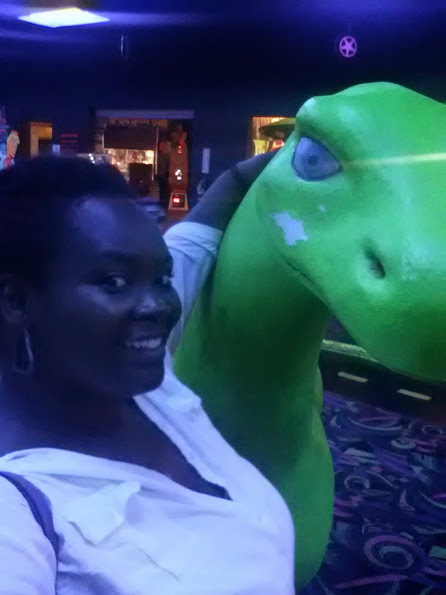 The last 20 minutes were torture (in her toddler mind)! The snacks were gone and the movie was done. Her brother had went out to play and she wanted to go too. So, I gave her a break. A 15 minute break to go play. I also took this time to give her encouraging words, "You are SOOOO pretty! You hair is gonna be GORGEOUS! Aren't you being a BIG GIRL!" We, then, revisited those new bows. You have to remind toddlers of the goal. She didn't want to sit back down, but we powered through and finished the job. Another technique I used was letting her twist her own hair. Although her coordination rendered no result, the feeling she had from helping me do her hair was undeniable. She kept saying, "Twist, twist, twist!" and I could tell this simple action was increasing her independence and her confidence. So, the whole process took about an hour and half (with breaks and a short crying spell), but we finished. This was the first time she'd had her hair in a style that she could shake. 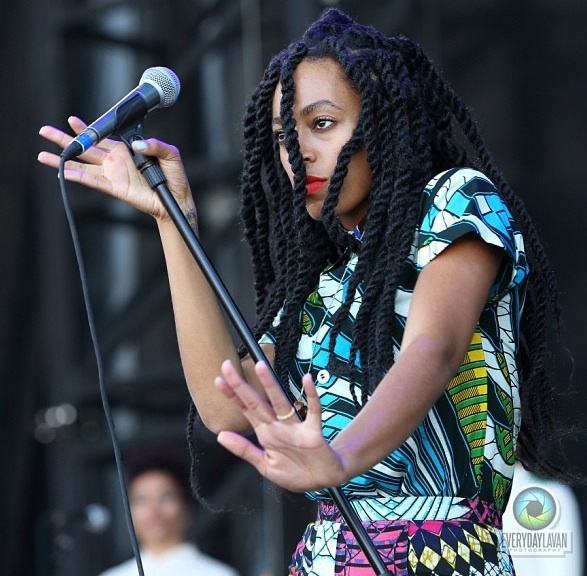 She was swinging her hair back and fourth loving the feeling of her individual twists. Since then, she's been wearing her hair twisted consistently. She even wore her hair twisted for her birthday party at school. 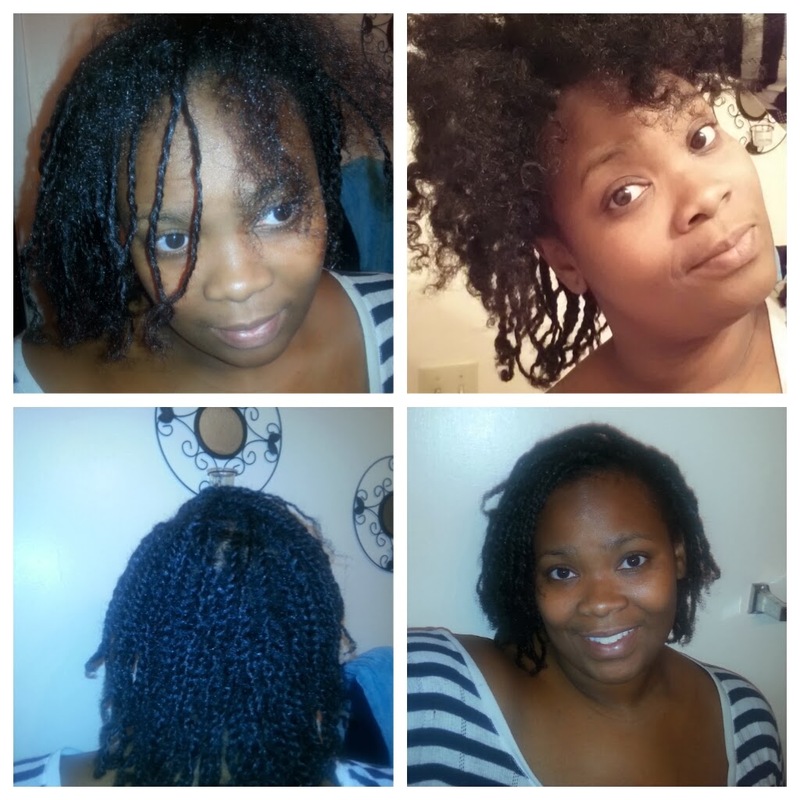 I hope this story helps you when you have to braid, twist, or style your little one's hair.